This week’s theme includes house-cleaning items, bathroom accessories, and fall decorations. Easy Home Motion-Activated LED Toilet Bowl Night Light, $6.99. This features eight color options and has Auto On/Off. Who doesn’t want a motion-activated toilet bowl night light? It’s certainly a conversation piece for your bathroom. Easy Home Bagless Upright Vacuum, $39.99. This cyclonic action bagless system features a 2-liter dust tank, five-stage height adjustment for different flooring and carpet types, and a crevice tool and dust brush for floor-to-ceiling cleaning. Easy Home Rechargeable Cordless Sweeper, $24.99. Cordless and bagless. Features two speed settings for floors and carpet and has a large capacity, easy-empty dust container. Holmes HEPA-Type Air Purifier, $34.99. Removes up to 99% of air pollutants. Captures mold spores, tobacco smoke, household dust, pollen, and pet dander. Includes three speed settings. Easy Home Mop or Broom Assortment, $8.99. Huntington Home Bar Mop or Flour Sack Towel Sets, $3.99. Easy Home Microfiber Dusters, $2.99. Choose between: Fluffy Duster, Counter Duster, or Dust Mitt. Easy Home Cleaning Gloves, Cleaning Wipes or Eraser Pads, $1.29. Choose between: One pair S/M Latex Gloves, M/L Latex Gloves, 6-Pack Cleaning Wipes, or 2-Pack Durable Eraser Pads. Rubbermaid Power Scrubber, $14.99. Cleans grout, showers, faucets, drains, door tracks, grills, and more. Comes with an extra grout brush attachment. Easy Home 3-Function Color Changing LED Showerhead, $16.99. Seven different colors change every 5 seconds. Features three functions: spray, massage, or aeration. 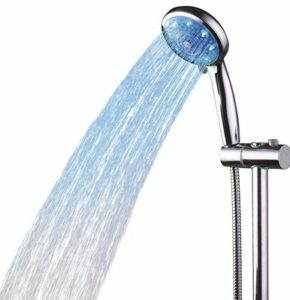 Easy Home Multifunctional Showerhead, $9.99. Five different spray options include: normal, soft, massage, normal/soft, normal/massage. Easy installation. 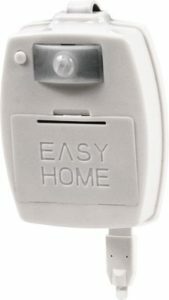 Easy Home Kids’ Bath Grip Caddy, $9.99. Assorted varieties. Creates a safe barrier between child and spout. Caddy extends to fit most tubs. Easy Home Plastic Suction Bath Basket Assortment, $6.99. Assorted colors. Two strong locking suction cups securely hold the caddy in place. Dentiguard Children’s Electric Toothbrush, $3.99. Assorted varieties. Huntington Home 2-Piece Reversible Bath Rug Set, $9.99. Children’s Licensed Cozy Slipper Socks, $3.99. Assorted varieties. Sizes XS (2/4) fits shoe size 4-7, S (4/6) fits shoe size 7-10, or M (6/8) fits shoe size 10-4. Bath Time Books, $9.99. Assorted varieties including My Little Pony. Easy Home Bubble-Cushioned Bath Mat, $3.99. Assorted varieties. Mildew resistant with skid-resistant suction cups. Huntington Home Fall Coir Mat, $6.99. Assorted varieties. Measures 18″ x 30″. Huntington Home 3-Piece Flameless LED Candle Set, $9.99. Batteries not included. Huntington Home 24″ x 36″ Handwoven Accent Rug, $6.99. Huntington Home Halloween or Harvest Towel Sets, $3.99. 100% Cotton. Huntington Home 60″ Scarecrow, $5.99. Assorted varieties. Huntington Home Tabletop Scarecrow, $5.99. Assorted varieties. Measures 24″ tall. Huntington Home Accent Fragrance Warmer, $4.99. Assorted varieties. Family Pack Chicken Thighs, $0.79 per lb. with 4.5-lb. average weight. Morton’s of Omaha Angus Seasoned Tri-Tip Roast, $4.99 per lb. Dentiguard, Easy Home, Holmes, Huntington Home, Morton's of Omaha, Rubbermaid. Bookmark.